In our May meeting of the Toronto Modern Quilt Guild, Andrea Vander Kooij issued the: Sow’s Ear Challenge! 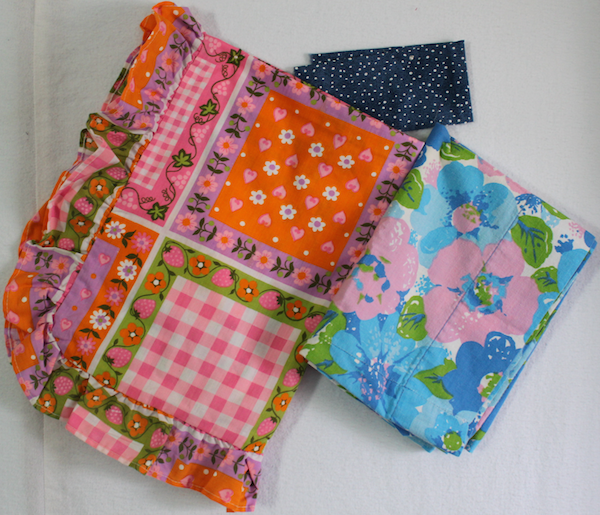 Participants were asked to make a quilted bag using thrift store textiles. Andrea loves old quilts and vintage textiles, but she noticed “when looking at some old quilts was how much of the fabric was, well, kind of ugly.” Yet despite this the quilts have a sense of design and beauty all their own – the Gees’ Bend quilts are an example of this. She goes on to say that we are very caught up in the newest fabric lines and buy pretty fabrics so of course we create pretty quilts. This challenge is to take fabric that isn’t so pretty and create something of beauty. By pulling fabric out of a bag sight unseen we are giving up some control of the process. Also, working around these “limitations” we as artists are challenged to stretch out of our comfort zone to create something we like. Lastly, using scraps harkens back to the origins of quilting when our ancestors used up all their precious bits of fabric to create functional and beautiful items. Bring three thrifted items like pillowcases, shirts, curtains, skirts – anything that is woven and has some cotton fibers in it. The three items are put into a bag and each person could then pull out 3 items out (although not their own!). We were allowed one “do over” if we really didn’t like one of the fabrics we picked. These three pieces along with a solid from our stash is to be pieced and quilted into a bag design of our choice. These are the three pieces that I will be working with! Two of them are pillowcases from the 70’s – groovy! The small blue print is my third selection! I did my one “do over” twice! I was resigned to a burgundy floral scrap as my final selection when Emily asked if I was interested in trading it. YES! Thanks Emily. OMG! As I was poking around I came across a new line of fabric by Jeni Baker for Art Gallery Fabrics called Dreamin’ Vintage. 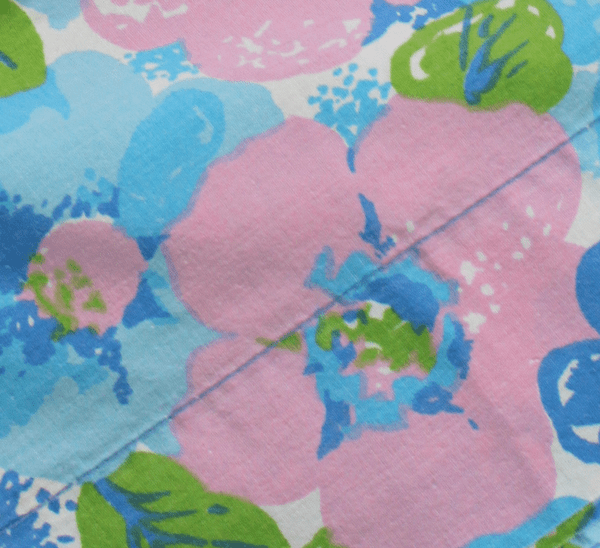 This collection includes the Lazy Daisy print that is similar to the vintage pillow case above. The adage is true – everything old is new again!